We had the BEST Adoption Experience Thanks to Adopets! The last time we adopted a dog we went directly through the shelter from start to finish. It went well, but Adopets moved things along much faster. It made the process fun, simple and stress-free! We found many benefits utilizing Adopets. First off, the app is extremely easy to use. It’s free to download and only requires a few simple steps to sign up. Once I created my account, I had access to a variety of animals up for adoption from shelters in my area. Each animal has a description, which includes everything from gender, size, breed, age, as well as a short bio. It was great to have all of this information right at my fingertips (and pretty fun too!) I saved a few pups to my “favorites” folder before I went ahead and made any final decisions. The app is easy to navigate and helped me stay super organized. Once my family decided on the dog we felt was perfect for us, I went ahead and applied to adopt through the app. We were under review for about 24 hours – but soon enough the shelter reached out to us to set up a day to come in and meet the dog and finalize everything. We really lucked out because the dog we found and applied to on Adopets ended up being “the one!” He’s been living with us for a few months now and we couldn’t be happier! Thank you Adopets for creating such an innovative, fun and simple app that connects people with animals that are seeking their forever home. We have been recommending Adopets to our friends and family and will continue to do so! 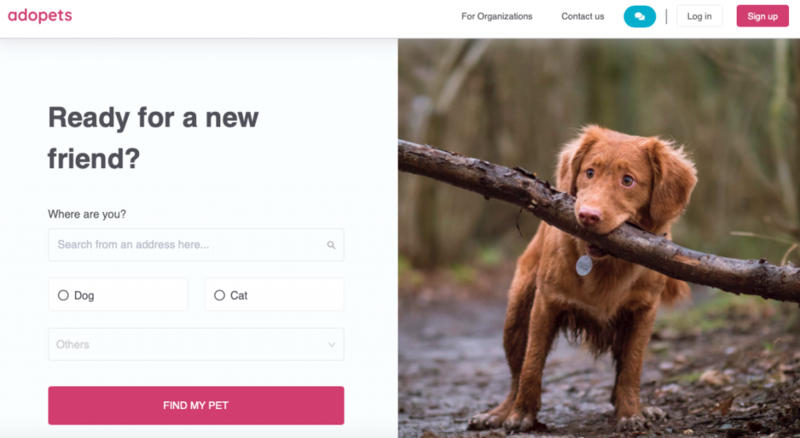 This entry was posted in Product Review and tagged adopt don't shop, adoption, adoption app on March 18, 2019 by Rebecca Symon.